Hey kids! – Is your bike big? Little? Red? Green? Pink? You can fix it! Parents, caregivers, tías, grandpas, mentors – take this class with one the littles in your life! 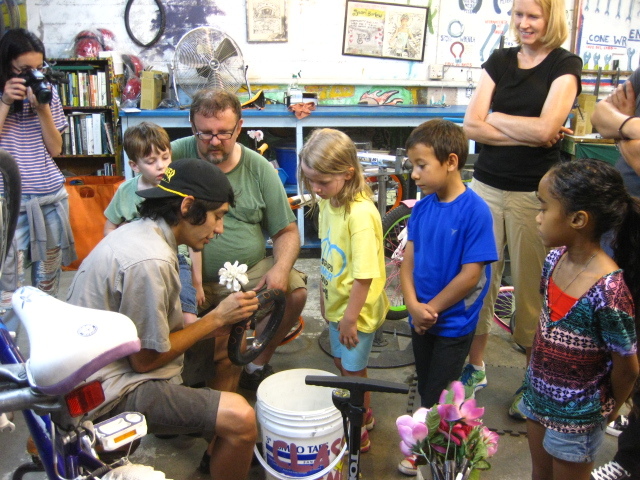 BICAS is excited to offer a 2 hour class geared toward teaching some basic tune-up skills on a standard kid’s bicycle. Each registration includes one child (5-8 yrs) and one accompanying adult (children must attend with an adult). Students may bring one child’s bike from home to work on, or, alternatively, they may purchase a child’s bike in our shop to work on and take home. If repairs exceed the topics covered in class, your instructors can make assessments & recommendations for using our Community Tools area to make further fixes. *Please note that this class does not cover component installations, including cables, seats, chains, etc., due to the need to keep the class on-schedule in a short time frame. However, students are welcome to sign into BICAS’ Community Tools after class to make any further repairs. This class is offered by request. If you have a group of 4-8 children (ages 5-8) and parents, please contact us and we will be happy to schedule a class especially for your group! Email us at Education@bicas.org. 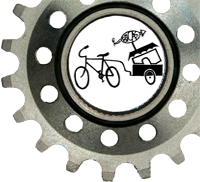 **Kids Fix It is designed for school-aged children; BICAS does not currently have any classes for children under 5 &/or pre-schoolers. For youth ages 8-18 please click here: BICAS Youth Programs.